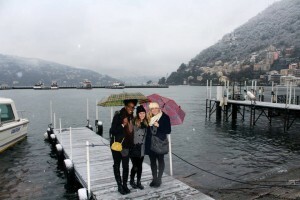 One of my favorite SAI excursions was the weekend to Milan and Como. On the way to Como were the most beautiful mountains. The bus ride was long but the views were great. 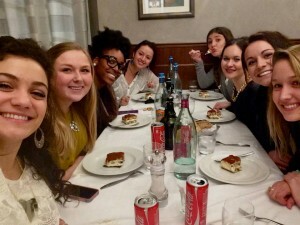 Our first stop when we arrived in Como was a restaurant that served a variety of pizza that I’m sure everyone enjoyed. 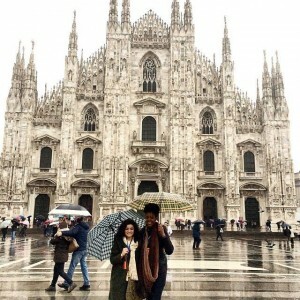 The next day we went to visit Milan, the fashion capital of Italy. I am a fashion design major so this is the trip that I was most excited about. I wanted to see what the city had to offer. 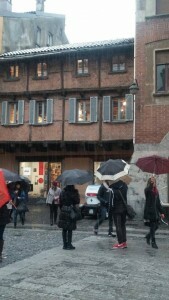 After the tour of Milan we got free time to walk around and see more of the city. We shopped and went site seeing, It was awesome! I love Milan. 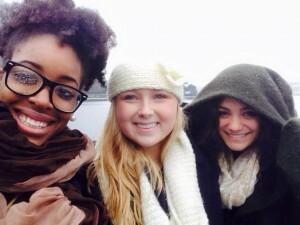 I met a lot of people on the trip and we all shared our experiences. 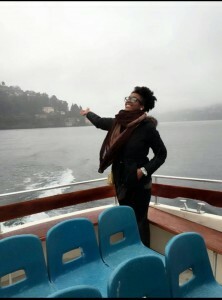 The next day was our tour and boat ride on lake Como. I honestly enjoyed Como more than Milan. All the interesting facts about Como is what surprised me such as films being shot there, celebrity weddings etc. I had no idea it had so much history. Although it rained most of the trip, nonetheless it was an awesome trip. 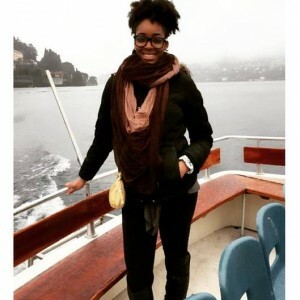 Tameka is a current student at Western Michigan University studying at Florence University of the Arts (FUA) in Florence, Italy during the Spring 2015 term.